The Cycle of Control- where does it stop? Is it even going to end? I ask myself in frustration, as I put down a 2 hour phone call with my sister. She had been worried about her 4 year old daughter and her future. Yes, my sister has had her fair share of lows from domestic violence to divorce. 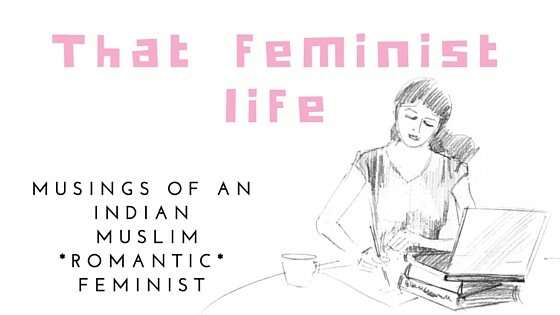 As a spectator of her oppressive marital life, I became a FEMINIST! She sadly didn’t! At the moment she worries about choosing between a regular job as a dentist & doing household chores for the kid. Currently she has family support as she lives with them but is planning to move to another city for a government job that’ll secure her kids’ financial future. I can understand (partially, cause I haven’t been there) that a single mother living in India has a hell lot to worry about. Specially when the kid you’re raising is a daughter. I do my part, I try to calm her down and say that this is not just for an year or two… having children means a fulltime commitment at least for 18 years, until they become adults. “I’ll get her married as early as possible, around 18”. “I’ll totally keep an eye on her like an eagle”. “It’s a corrupt world, I’ll never let her wear such and such things”! “I’ll not let her date, absolutely NO right to choose her husband”! “I’ll make sure she gets the right upbringing as a polished, saintly girl”! Well intended parents do this without realizing they’re suffocating their children. My neice is 4 now, of course she does exactly what her mom asks her to do because the mother is loud & powerful & can punish her. But parenting changes when kids grow and become teenagers. I don’t know what would the world be like in 14 years when she turns 18, but what I do know is that while raising girls, we need to give them more autonomy instead of restrictions. Just like my sister, 80% or more of the world thinks women are oppressed because of sexual reasons. It’s not only that. The larger oppressor of women is powerlessness. In other words, people think that by keeping girls indoors, they are somehow protecting the girls and doing them a favour, because women are weak and powerless. Not that women are not powerful, but their powers are being snatched from them in the name of guardianship. That’s different for boys. It’s OK if boys fall in love, its OK if boys hook up few times before marriage, its OK if they demand freedom to make their life choices… but as girls…. NO YOU CAN’T! What shocks me most is that being a woman, my sister doesn’t believe in the rights of women to making their own life choices. Our parents did give us the liberty to choose our life partners. She choose the wrong guy despite the family opposing her decision and ultimately agreeing only for her sake. It didn’t go well and they divorced. Just because she made a wrong choice, it’s easier to blame the parents and say they should have stopped her by hook or by crook. Just because she choose a monster, she wants no woman on earth to choose her life partner. I’m not a mother yet. I’d hope I give birth to a daughter if I ever plan to be one. Not because I hate lil boys, but raising a lil girl will be more like raising another Shahla. I’d teach her good morals as a human being… not those that depend on her gender. I’d hope she makes great choices in her life, but for times when she wouldn’t, I’d still be there, still love her and hug her when she needs a mom.